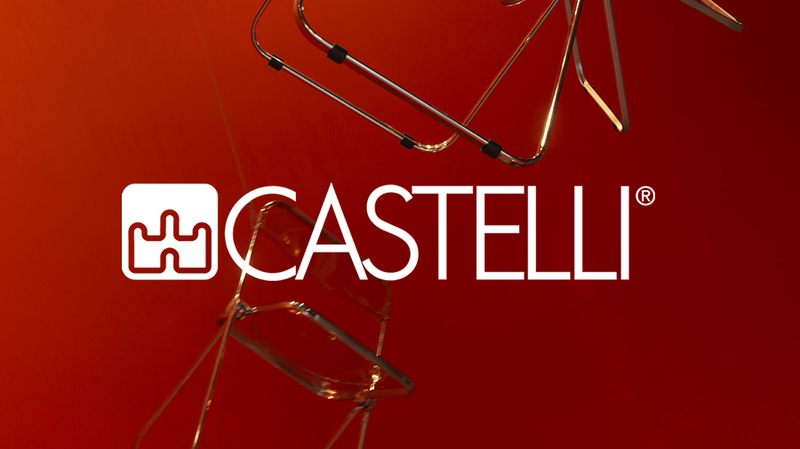 Established in 1877, CASTELLI is a company which, since its beginnings, has played an active role in one of the most glorious and exciting periods of Italian Design. Born as a small craftsman’s workshop, CASTELLI developed successfully thanks to great determination and the fantastic intuition that allowed the company, following post-war reconstruction, to steer its production of office furniture towards unique forms. This result was made possible thanks to the precious contribution of prestigious designers such as Emilio Ambasz, Claudio Bellini, Rodolfo Bonetto, Michele De Lucchi, Hans Ell, Doriana and Massimiliano Fuksas, Gino Gamberini, Nilo Gioacchini, Enzo Mari, Giancarlo Piretti, Charles Pollock, F.A. Porsche, OpenArk : Giancarlo Piretti & Emilio Ambasz, Mario Ruiz and Richard Sapper. CASTELLI is a symbol of Made in Italy, that is to say, the particular combination of creativity, elegance and ideology which lie at the heart of the success of Italian design all over the world.